The Yukon Native Language Centre says it's trying to help people in communities access the material, which is written in eight languages. 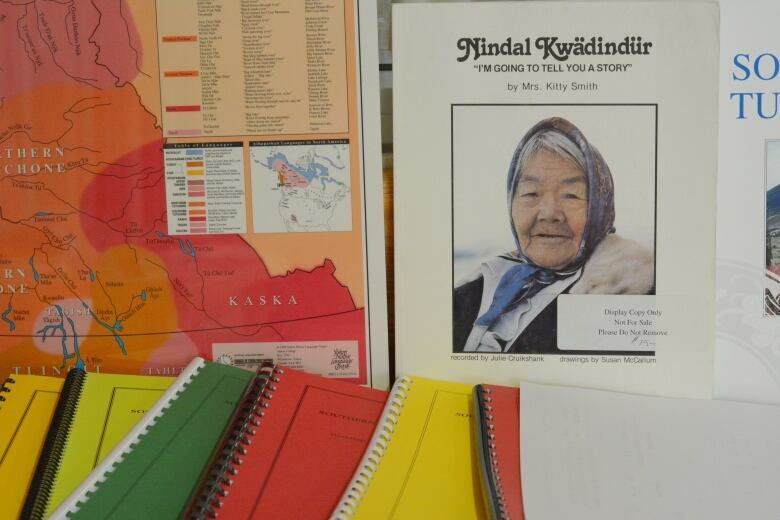 A collection of Yukon Indigenous language books has been scanned, organized and made freely available online. There's at least 10,000 pages of material in eight languages — Gwich'in, Han, Kaska, Northern Tutchone, Southern Tutchone, Tagish, Tlingit and Upper Tanana. The publications used to be available only on paper at the Yukon Native Language Centre, which is at Yukon College in Whitehorse. Language curriculum developer Krista Dempster said the goal is to make the work accessible to anyone, anywhere. "Until now people from the communities would have to come into the language centre to access any resources. Or they'd have to put in an order and it would be mailed out to them. And they weren't free," she said. One great benefit to scanning is that people can now search the records electronically — for instance searching for one word or a person's name. "You can actually search through all of the 10,000 pages that have been scanned," Dempster said. The digitization of material has been happening for years with help from a linguistics project at Carleton University, as well as the territorial government's Department of Education. The online publication only happened after a change in management. Earlier this year the Yukon government handed over responsibility for the Yukon Native Language Centre to the Council of Yukon First Nations (CYFN). 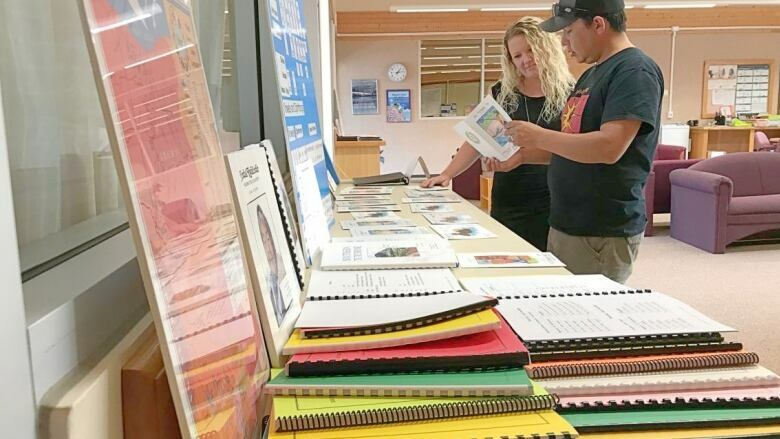 The CYFN has pledged to change the centre from a resource to certify teachers into more of a community school, reaching out to anyone interested in learning a Yukon Indigenous language. One of those people is U'yenets'echia, also known as Sean Smith. He's been building fluency in Southern Tutchone and Tlingit. "I am really, really very, very thankful that we're taking this path to build their resources and to build the connection within our communities. I think it's very, very powerful," he said. "I think that having the resources online — it's very valuable for teachers, for learners and for the community members to access." The next step for the centre will be adding more audio. The Yukon Native Language Centre's website already has a dictionary for Kaska that features pronunciations recorded by elders in communities. The material can be found at www.ynlc.ca under the languages tab.